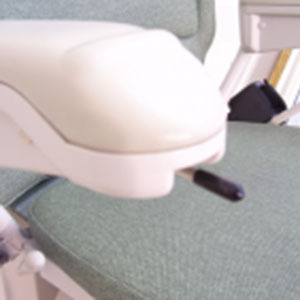 Reconditioned Stannah Stairlifts from Central Mobility | Call now for a free quote! 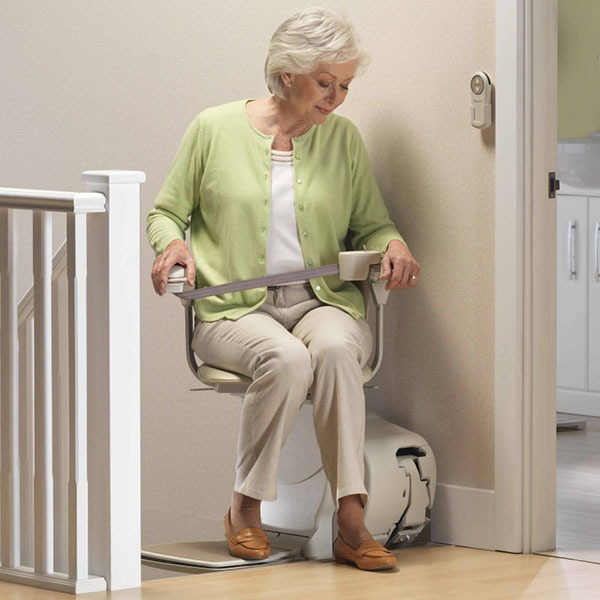 Reconditioned Stannah Stairlifts from £1350! 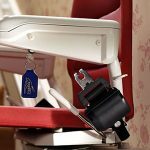 Reconditioned Stannah stairlifts don't come much better than this! The reconditioned Stannah 420 straight stairlift is designed specifically for straight staircase fitting. It's the latest straight model from Stannah and features many refinements making it the slimmest, smoothest and quietest model yet. It's perfect for all types of standard straight staircases and because of it's compact and robust design it is also suitable for staircases which maybe narrow or feature a steep incline. 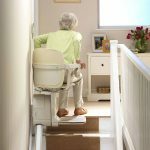 The reconditioned Stannah stairlift is British made and is built to last. 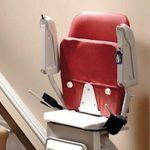 It's renowned throughout the UK as a leading stairlift model due to it's superior build quality, high reliability, modern design and excellent safety features. Any reconditioned Stannah stairlift comes with simple to use controls neatly nestled into the end of the stairlift arm. Gently moving the joystick left or right sends the stairlift up or down the stairs. 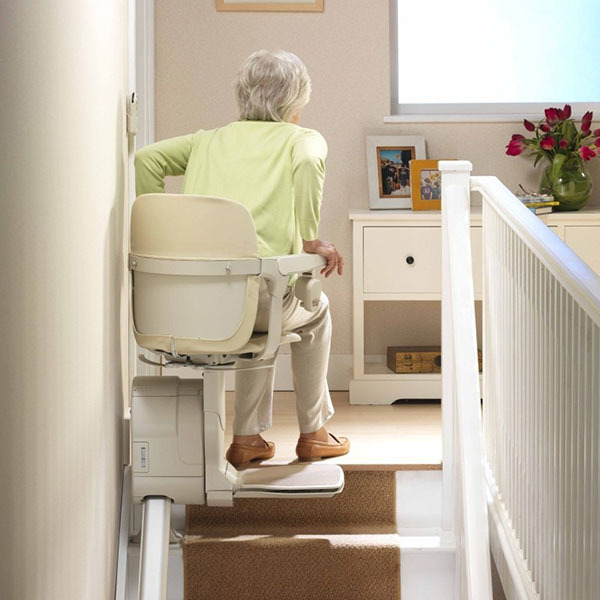 This reconditioned Stannah stairlift is designed to take up as little space as possible. It can be folded up against the wall so that the stairlift does not obstruct the stairs. 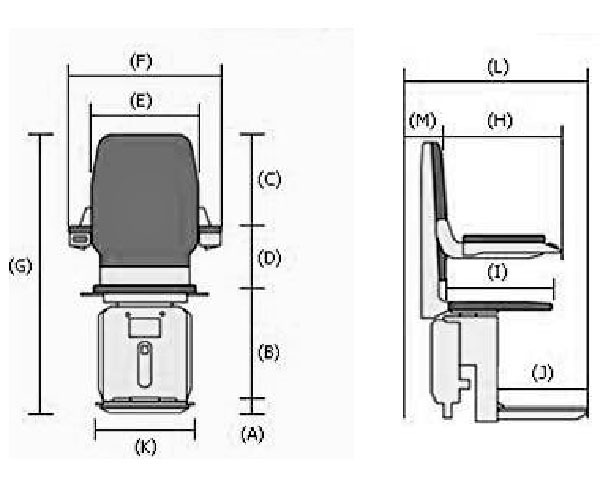 The arms, seat and footrest can all be easily folded making it slimline and compact. 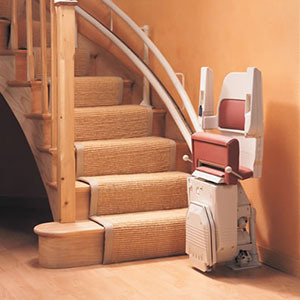 Once at the top of the stairs the stairlift seat can rotated towards the landing area for easy alighting. The swivel seat locks in place for safety or can be folded up against the wall to create space. 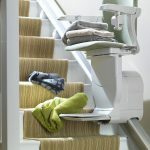 The reconditioned Stannah Stairlift is packed with safety features including safety sensors which automatically stop the stairlift if anything is blocking its path, safety belt harness, limit sensors, swivel seat locking system and electronic braking systems which controls your speed up and down the stairs making every journey safe and hassle free. 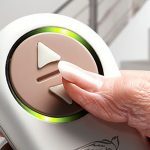 The lift can be ‘called’ or ‘sent’ up or down the stairs when ever it’s needed, making it easy for multiple users to control the stairlift. 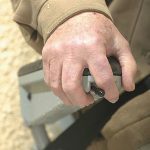 Each remote has it's own neat little holder allowing them to be wall mounted in accessible positions.